There are so many amazing Estates in New England that I don't know how you pick one. They all have so many unique qualities. If you are looking for a venue that has a small intimate feel, any of the above listed Estates fit the bill! I have worked exclusively at Codman Estate and Lyman Estate as well as Endicott Estate and they are all so unique and have their own charm. 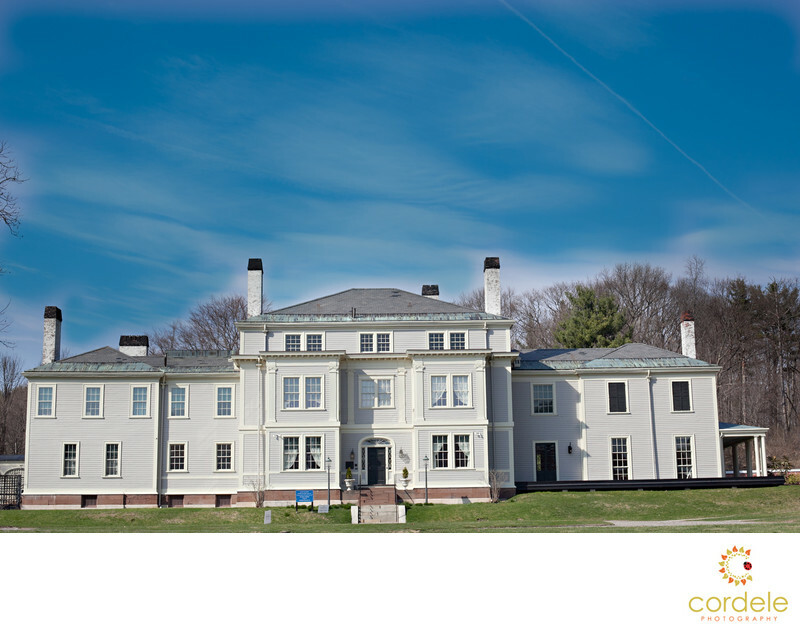 Codman Estate brings you back to the 1800 before modern day cars and worries. The weddings are held in the old Italian Garden out back of the Codman House, and the wedding reception is held either in a tent on the lawn, or in the carriage house. It's perfect for around 60-100 people. The great thing is it has a back up plan for rain, the bummer is it can get hot and there is no AC. The best time of year for Codman is the fall when the hot sun fades into cooler nights! Make sure to ask to rent space heaters! Lyman Estate has such charm. It's an old mansion with rooms upstairs for getting ready. They have a great outdoor space for cocktail hour and it rains you can duck under the porch over hang and still be outside! Lots of nooks and cranes for photos here! Endicott Estate is one venue that has a great outdoor ceremony site and an amazing cocktail area on the porch. The house also has a getting ready room for both the bride and groom. There are plenty of spots for indoor photos here! Willowdale Estate has such a unique feel to it. Its nestled in the woods north of Boston, and is a beautiful home. The photography options are endless! Truly, I could go on and on about Willowdale. Their outdoor ceremony location is amazing and it gets flipped to be able to join cocktails and then move to the tent outside. If it rains, they have back up plans as well too! 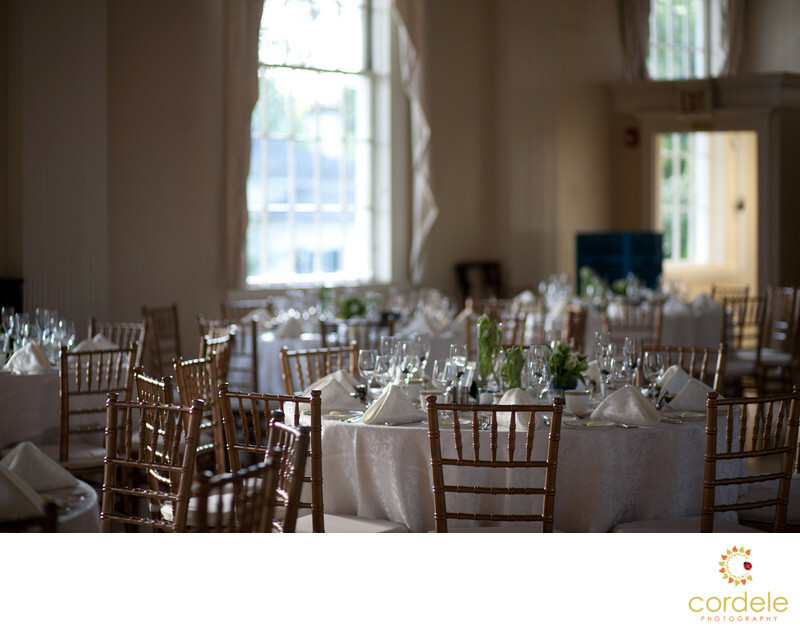 The Commons in Topsfield is a bigger venue for the wedding that needs the space. The reception room is vast and you have the balcony overlooking the dance floor for those that like to watch and not stand out. The DJ has a great space to work and the window bring in such beautiful light during the daytime hours. Commanders Mansion is a venue that has many areas and wonderful grounds for photography. They also have the ability to have a tent and plenty of parking! Saphire Estate was just recently redone and I haven't seen it, but being south of Boston it's a great venue for people that don't want to travel too far to have a great location. There is a lake down the street for fabulous photos. A wonderful outdoor area for getting married and a great cocktail area as well. The Steven's Estate I had the pleasure of seeing last year for the first time. What a treat! I love old houses and this house did not disappoint. There are rooms for brides and grooms get get ready, a wonderful indoor cocktail area and amazing outdoor photo areas. What more can you ask for. Great parking too! Oh my gosh, if you have never been up to Ipswich to check out Castle Hill, you have to take a drive out to Crane's beach. It's unreal. The mansion sits on top of a hill. With rolling grounds and a lawn that runs for a half mile out to the ocean. It has some amazing places for photos. An outdoor area for both cocktail and ceremony. In indoor location for reception and plenty of places to wander and get lost.